The client, located in North Carolina in the United States, needed a partner to assist with the creation of promotional videos that would be featured in multiple media channels. The O2I team met the client's expectations both in terms of price and quality, and the client ultimately outsourced similar projects to O2I. 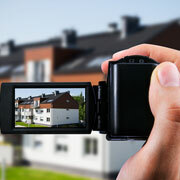 To learn more about video editing services from Outsource2india, contact our team today.